This thong branded MIBOER (MB51) I ordered off AliExpress from the Brave Person Official Store. My initial thought was that it wasn’t going to be to my liking at all. The pouch seemed like it wasn’t going to fit me like I like to be held. It surprised me that it is a pretty good thong. They call the fabric a mesh lace. I guess I can see it called lace, but it is a masculine leopard print woven into it. Not like some of the other lace underwear offered for guys that is more feminine looking. It’s actually a pretty soft comfortable fabric. With it along the lines of lace there is sheerness to them. I find the tail on these that are just under 1” to be very comfortable. 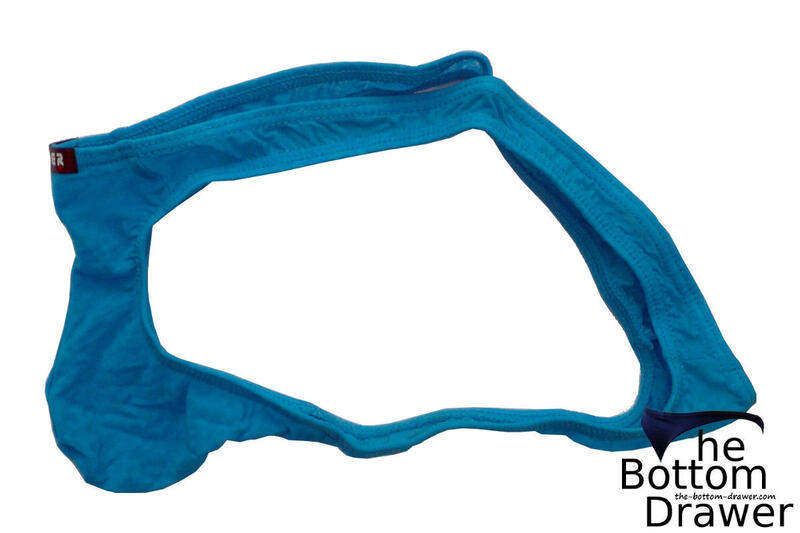 The pouch of this thong is a narrow cut along the shape of a U. It takes a bit of adjusting to keep everything tucked in to look tidy. I wouldn’t mind a bit wider of a pouch. It does contain everything, which is most important. The pouch is centered seamed, but more the traditional way and not a flat seam. The thong’s pouch does offer good support. The thong is to be machine or hand washed cold and can be tumble dry low. I’m a fan of hanging my underwear to dry, so that is what I do with these. They’re made of a blend of nylon and spandex. The sides are about 1”. You can get this thong for under $3 on sale, but only about $4 regularly. For the price I find it to be a decent thong and would consider another one. Remember to pay attention to their sizing charts, since Chinese items run small compared to most others. If you’re looking for something that won’t break the bank to settle a buying urge then I’d say give it a try. What do you rate the MIBOER Thong (MB351)?